Obituary – Price, Harold Dee « Perry High School Alumni Association, Inc.
﻿Class Vice Pres. ’63-’64, Class Pres. ’64-’65, Student Council ’63-’66, Student Council Vice Pres. ’64-’65, Student Council Pres. ’65-’66, Honor Society ’64-’65, Citizenship Award ’64-’65, Jr. Play Comm. ’64-’65, Sr. Play Comm. ’65-’66, Christmas Vespers ’64-’65, Youth Power Rep. ’65-’66, Jr. Rotarian ’65’66. Harold Dee Price, 71, of Columbia, passed away at the Boone Hospital Center on Sunday, April 8, 2018. He was born on Nov. 15, 1946, in Anthony, Kansas, to the late William and Irene Price. 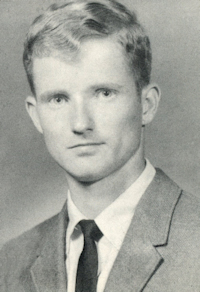 Harold was a 1966 graduate of Perry High School in Perry, Oklahoma. He went on to further his education by receiving a bachelor’s degree from Phillips University in Enid, Oklahoma, which was followed by a master’s degree in social work from the University of Missouri. On Oct. 4, 1969, he was united in marriage to Doris Brorsen, and together, they shared 48 years of marriage. During his career, Harold worked at several mental health centers as a psychiatric social worker. Some of the places he worked at were the Mid-Missouri Mental Health Center, the Grand Lake Mental Health Center in Miami, Oklahoma, the Family Life Center in Riverton, Kansas, and The Seneca-Cayuga Tribe of Oklahoma Health Center in Grove, Oklahoma. 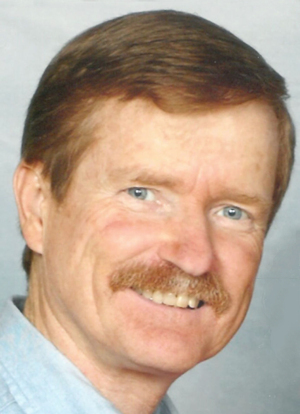 Harold was an avid reader and enjoyed woodworking, gardening and wildlife. He also thoroughly enjoyed spending time with his family and friends, who will all miss him dearly. Harold is survived by his wife, Doris; one daughter, Cate Adams, and husband Brian of Wichita, Kansas; one grandson, Elijah Adams; one brother, Jay Price (Sarah) of Dallas, Texas; one sister, Phyllis Postelwait (Richard) of Perry, Oklahoma; two sisters in law, Karen Bryant (Norman) of Broken Arrow, Oklahoma, and Kathy Cooper of Oklahoma City, Oklahoma; and several nieces and nephews. Memorial contributions can be made to Unity Center of Columbia, 1600 W. Broadway, Columbia, MO, 65203. Its phone number is 573-447-0414. A Celebration of Life will be at 1 p.m. Saturday, April 21 at Unity Center of Columbia. Harold was honored in September, 2017 by the Perry High School Alumni Association, Inc. at its annual honor roll celebration as co-recipient of its inaugural “Legacy Award” for significant contribution to the PHS tradition. The Perry High School mascot, the “PHS Maroon Man” was created over 50 years ago in 1966. Many classmates were involved in this effort, but Harold played an instrumental role as Student Council President in 1965-66.